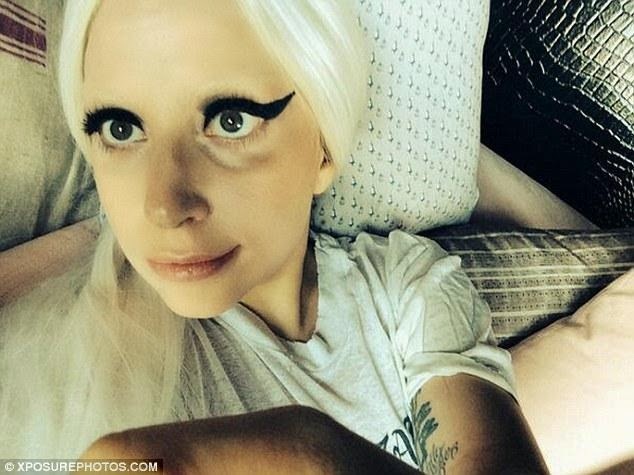 Dailybuzz.ch: Lady Gaga Posts Bedtime Selfie! Will She wake up like this? Lady Gaga Posts Bedtime Selfie! Will She wake up like this? She claimed to have just finished a 'long day of rehearsals'. However, the accompanying selfie told a different story for Lady Gaga. On Tuesday - the 27-year-old singer claimed it 'Feels so good to sweat!' as she posted a picture in a full face of make-up in bed, before wishing her little monsters goodnight.